I want to say thank you Cissy Houston for allowing the world to view Whitney's celebration of life. Cissy didn't have to do it but she did. 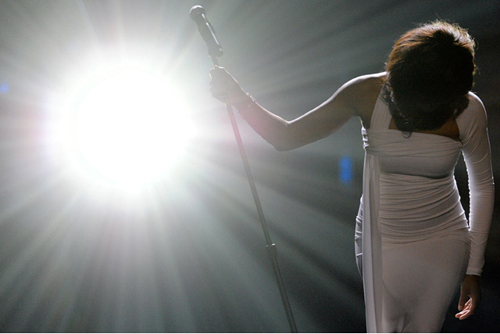 For 30 years she had to share her daughter with the world and she showed respect to Whitney's fans by allowing us to view the home going service. The music by the New Hope Baptist Church Choir, Rev. Donnie McClurkin, Bebe and Cece Winans, Rev. Kim Burrell, Alicia Keys, Stevie Wonder, and R. Kelly were delivered amazingly and with pure emotion. The speakers Clive Davis, Kevin Costner, Bebe Winans, Mayor Corey Booker, Tyler Perry, Ray Watson, Pat Houston, Bishop TD Jakes, Ricky Minor, and Dionne Warwick (who showed so much strength) showed the world how wonderful of a person she was. The Sermon delivered by Rev. Marvin Winans was delivered passionately and biblically.